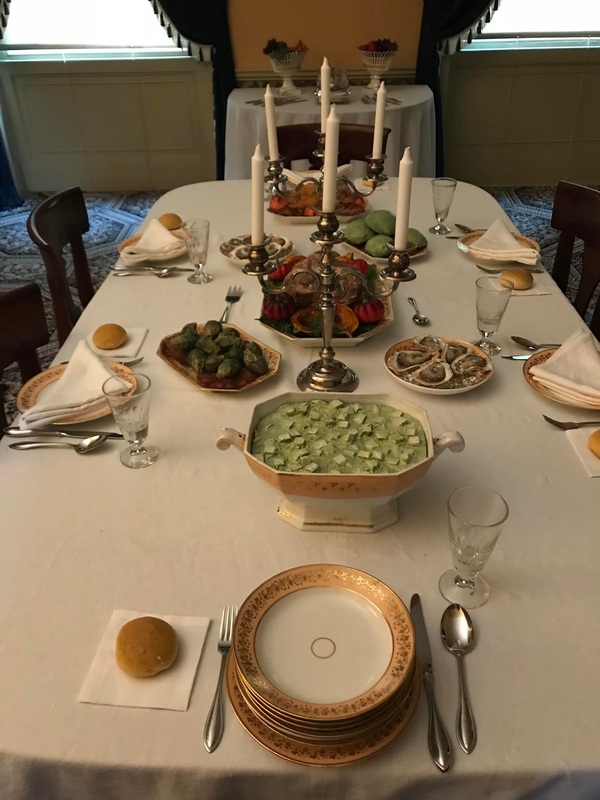 Visit the c. 1801 Riversdale House Museum, the original home of George Calvert and Rosalie Stir Calvert and their children, this fall and stumble upon the dining room tables set-up to look as if the Calvert family is just about to sit down to dine. Here is the menu for the first course: pea soup, roast chicken with sweet potatoes, roast pork with winter squash, oysters on the half-shell, stuffed cabbage, and Brussels sprouts. 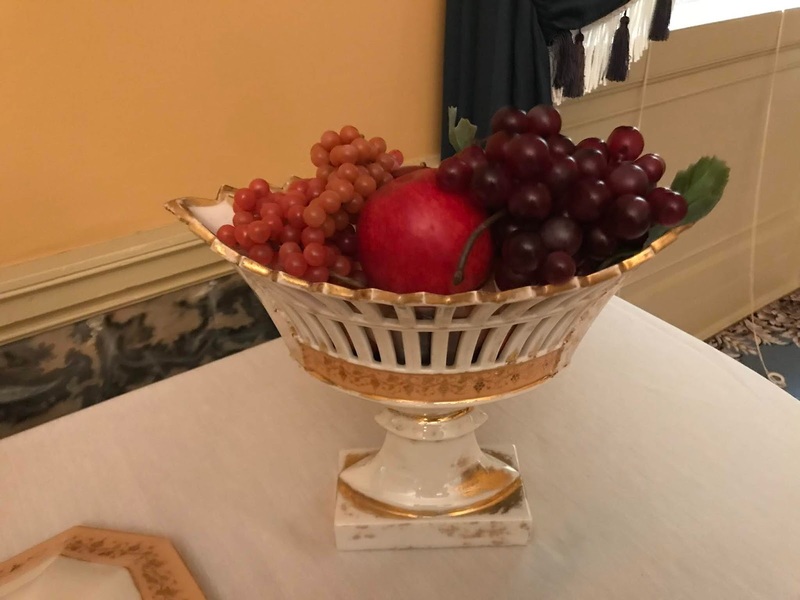 Fruit displayed in a piece of the Tucker porcelain set; the c. 1839 china that originally belonged to the Calvert family. The star of this meal is the Tucker Porcelain. Charles Benedict (C.B.) Calvert (1808-1864), son of George and Rosalie Calvert, married Charlotte Augusta Norris (1816 - 1876) in Baltimore on June 6, 1839. Possibly to commemorate a new era at Riversdale with the installation of Charlotte as the new mistress of Riversdale, C.B. purchased a very expensive set of China in 1839. Through the generosity of surviving Calvert family members, much of the Tucker Porcelain in back home at Riversdale and on display.